Each year in Missouri, thousands of people are in car accidents involving an uninsured motorist. Missouri law requires all drivers to have auto insurance. However, according to the Insurance Information Institute, in 2015 13% of motorists were uninsured. The percentage of uninsured motorists has been rising since it hit a record low of 12.3% in 2010. Each year, thousands of Missouri drivers are involved in auto accidents with drivers who have failed to maintain the required automobile insurance. The result is unpaid damage claims and higher insurance premium rates for all Missouri drivers. If you have been in an accident with a driver who does not have insurance, report it immediately. Many insurance companies require an accident report to be filed within 24 hours of the accident. An uninsured motorist is a person that continues to drive but does not maintain insurance on their vehicle. There are thousands of uninsured motorists in Missouri. An uninsured motorist is at risk of losing their license but there is not currently an effective program to make a person maintain insurance on their vehicle. If you are involved in an auto accident with an uninsured driver, your claim for vehicle damage and medical bills is filed with your insurance company. This is referred to as an uninsured motorist claim. If you have an auto liability policy you should also have uninsured motorist coverage. This type of coverage compensates you and your passengers for injuries you sustain as a result of a car accident involving an unisured motorist. It also compensates you if you’re involved in an accident with a vehicle that can’t be identified, such as in a hit-and-run accident. 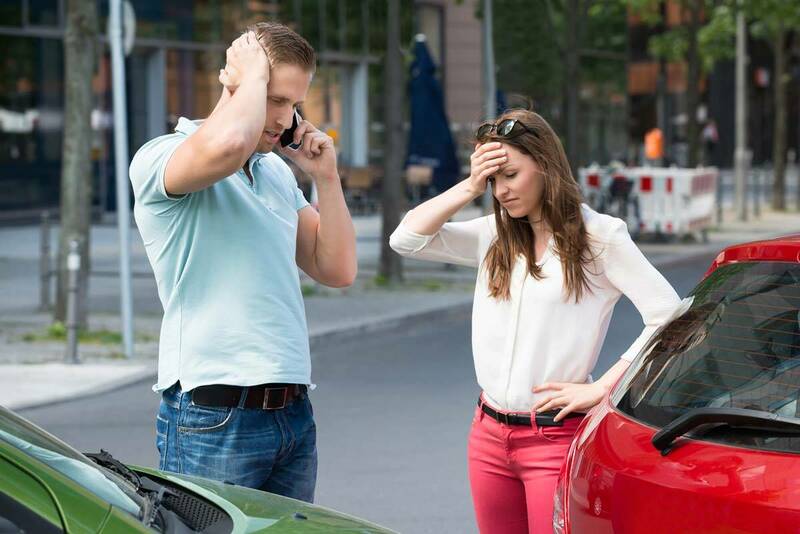 If you are involved in either type of accident, you need to report it immediately. Many insurance companies require a report to be filed within 24 hours of the accident. Sometimes when people want to reduce their monthly expenses, they cut back on their car insurance, opting for only minimum coverage. However, this can result in being underinsured and that can be a problem for you. If you are involved in an accident with an underinsured driver, they may simply not have enough insurance coverage to cover your vehicle damage repair costs and your hospital or medical bills. 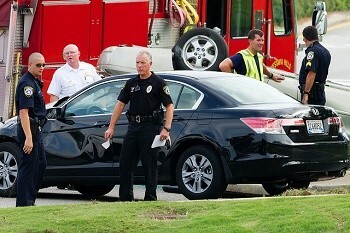 Who will pay for your injuries if you are a victim of an uninsured driver car accident? Buying liability insurance attracts a hefty price tag. Hence, there are uninsured motorists on the road to be aware of. Unfortunately, if you have a car accident with an uninsured driver, what avenue should you turn to for compensation of your bodily injuries? The answer lies in your own insurance policy under the Uninsured Motorist (UM) Coverage. What Vehicle Damage is Compensated Under UM Coverage? You must read the fine print of your UM coverage and if vehicle damage cover for such cases is specified, you may receive compensation for your vehicle damage. If vehicle damage is not included in the uninsured motorist coverage, it may be included in the collision cover. According to Missouri car accident attorneys, when the vehicle damage is not covered under either section, you may have to pay from your pocket for the repairs undertaken. Who Are Eligible For UM Coverage From Your Insurance Policy? When you are injured while driving or riding in a car that has been named in your policy, or any other car that is not owned by you or while being a pedestrian. A relative who lives with you gets injured while driving or riding in a car that has been named in the policy. Any other person who is driving or riding in your car, with your permission, that has been named in the insurance policy. Any other person riding in a car not owned by you while you are driving it. When and How Much Compensation May You Receive? There are some policies that include compensation for hit-and-run accidents. This clause is applicable only when your car is actually hit and damaged or you have received bodily injuries. There are certain policies in which compensation is granted for hit-and-run accidents only when you are able to identify the driver and the vehicle. If you get injured while at work, you are eligible for workers’ compensation and disability benefits. You may also get compensated for your medical expenses by your insurance company under medical payments coverage. Hence, your UM compensation may be reduced by the same amount in these cases. In case you or a relative are riding in another person’s car and are injured in an accident caused by an uninsured motorist, the other person’s UM coverage will be the primary one for claiming compensation and yours will be the secondary one. Your UM coverage will only pay for the bodily damages sustained by you which have not been compensated by the primary policy. How Can The Hoffmann Law Firm, L.L.C. Help? If you or a family member has been injured by a driver who does not have insurance, contact The Hoffmann Law Firm, L.L.C. to schedule a free consultation. We focus our law practice exclusively on handling accident injury cases. With more than 20 years of experience, no case is too complex for attorney Christopher Hoffmann. Our goal is to secure maximum financial compensation for your physical and emotional recovery.